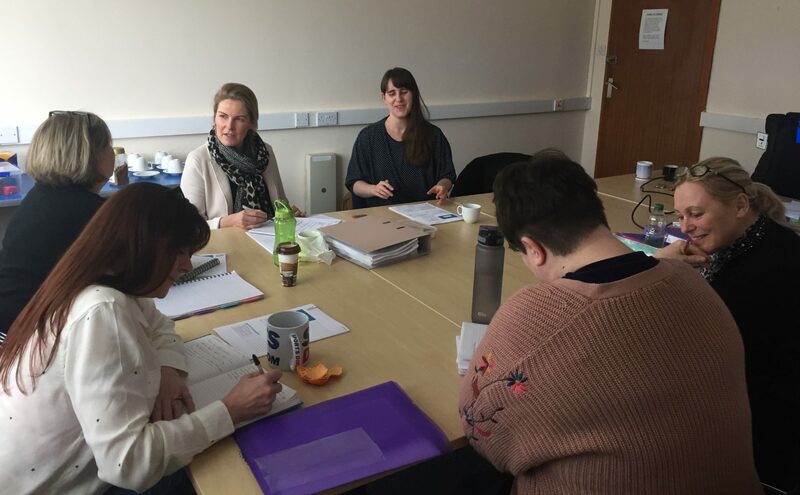 The UK Academy Scotland Hypnotherapy Training School is located within the Haypark Business Centre in Polmont. Polmont is on the outskirts of Falkirk, within Central Scotland providing easy reach of Glasgow, Edinburgh, Stirling, Perth, Dundee, Fife, and the Borders. Polmont itself is well served by public transport, being on the main train line between Glasgow and Edinburgh. Polmont Railway Station is just a short walk away. There is also a good bus service with the 38 First bus from Stirling to Edinburgh stopping right outside the door, and the 1 and 2 First buses from Falkirk stopping nearby. In addition Polmont is 2 minutes off junctions 4 or 5 of the M9 motorway with links to the M8 and A876. 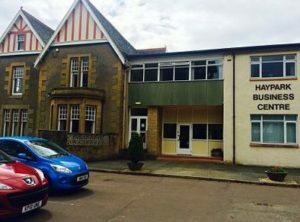 Haypark Business Centre in Polmont is just off Marchmont Avenue. There is ample parking within the grounds of Haypark. To reach the Hypnotherapy Training School drive or walk past the Dental Surgery on your right and you will see the sign for Haypark Business Centre. The UK Academy has training rooms within the business centre as well as our Hypnotherapy Clinic, HMH Therapy. There is a staffed reception area during normal office hours. Please see the map below to help you plan your journey. 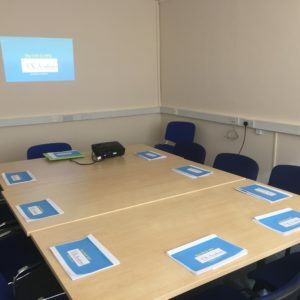 Walking through the main door you will arrive at the main reception area where you will be welcomed for your journey to train as a Hypnotherapist in Scotland.